It’s an interesting city. San Francisco on steroids, it sits on 50 or so extinct volcanoes that are 100-200 meters high; except for the wharf area, you are walking up or down, steeply. 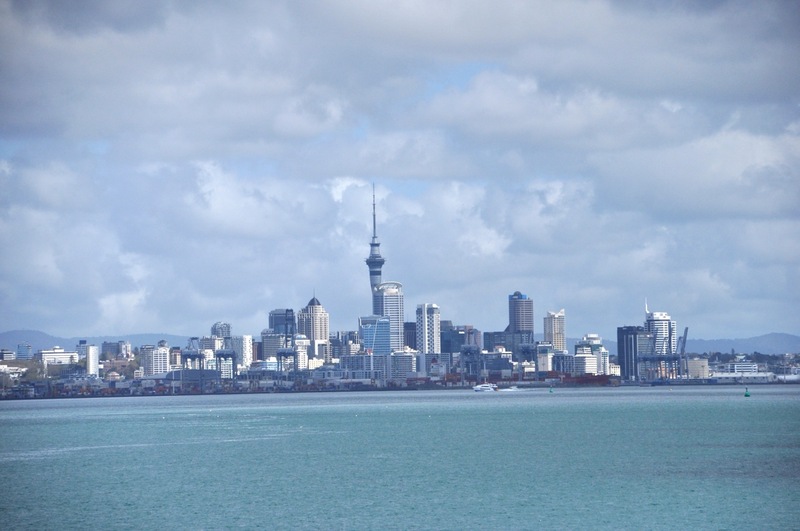 One out of 3 Kiwis live here (but total NZ population is only 4.5 million – half the population of New York City). Polyglot; it is the world’s largest Polynesian city. Lots of skyscrapers, many quite interesting. I did not take many pictures of Auckland buildings. I was more interested in their parks and the wild stuff they do. That central needle, the Skytower, is the height of the Eiffel tower. There at the biggest bulge of the tower you can tether yourself to a ring and walk around the building on a narrow, flat, no hand-rail walkway, or even throw yourself off. Or at the ground level downtown right there on a street corner you can get hurled upward in a cage tethered by rubber bands attached to two towers. Pictures below. Alas, all this is at some monetary cost and we were still reeling from the high cost of living. Breakfast is $30, lunch is $50-$60, dinner is at least $80 with a glass of wine. So I didn’t throw myself off a building. Probably a mistake, I should do this on the way back through. Also interesting are Auckland’s parks. They’re plentiful and fabulous. I mean, this is downtown Auckland! Finally, NZ is so environmentally committed! 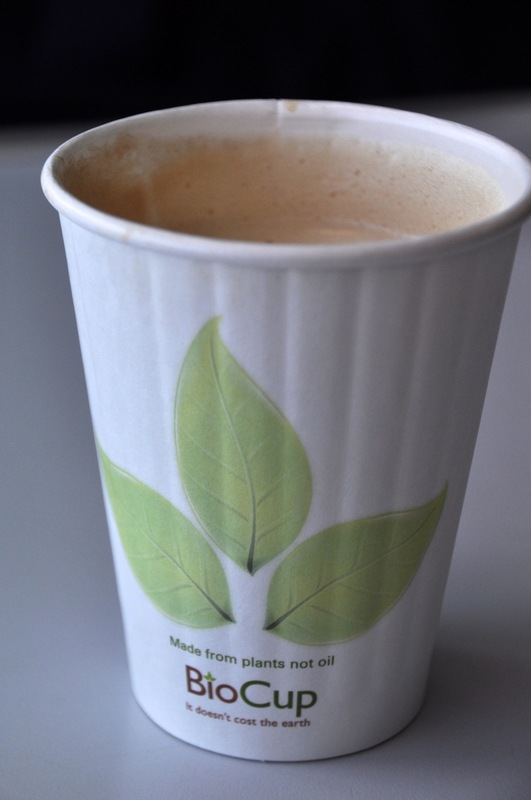 The picture below is a coffee cup. It’s a pretty heavy cardboard, works great. One can not find styrofoam anything here. To use diesel fuel, there is a tax of $50/1000km for the carbon offset. Hotels ask you to separate recyclables. Pretty cool.